Usually, the cross-slide on a larger lathe will be graduated so one division will represent 0.02mm or 0.001 inches. Of course a movement by either of these amounts will reduce the diameter of the workpiece by twice this amount..
On smaller lathes the graduated dial is that much smaller and a division might be 0.1mm or equivalent. There are several ways of making smaller cuts. In each case it has to be remembered that as a cut gets finer and finer it becomes very important that the cutting edge is really, really sharp. In the following cases the cut is usually being made so as to reduce the diameter of a workpiece. 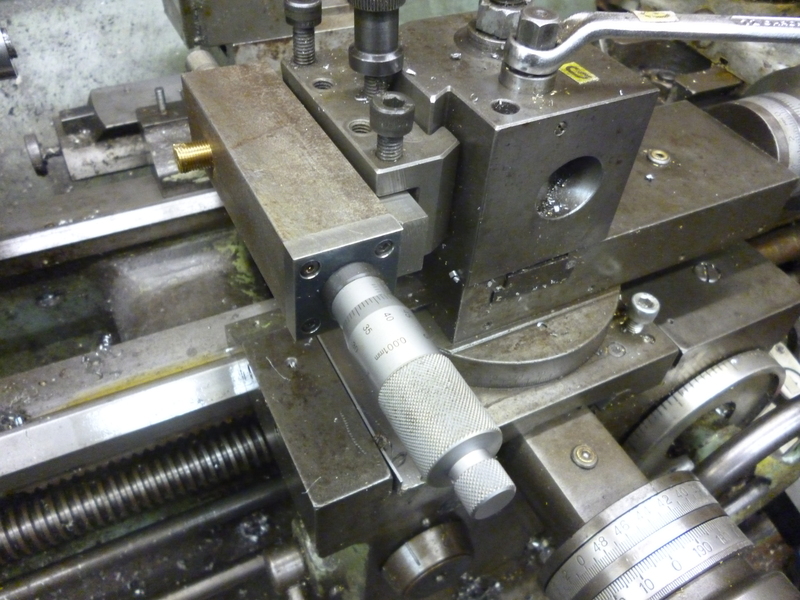 After this it is shown how to use the same devices to reduce the length of a workpiece. If the top slide is rotated through about 6 degrees away from the axis of the lathe then, as the handle is turned, the distance moved in the direction at right angles to the axis of the lathe is reduced to about one tenth of the reading on the graduated dial. 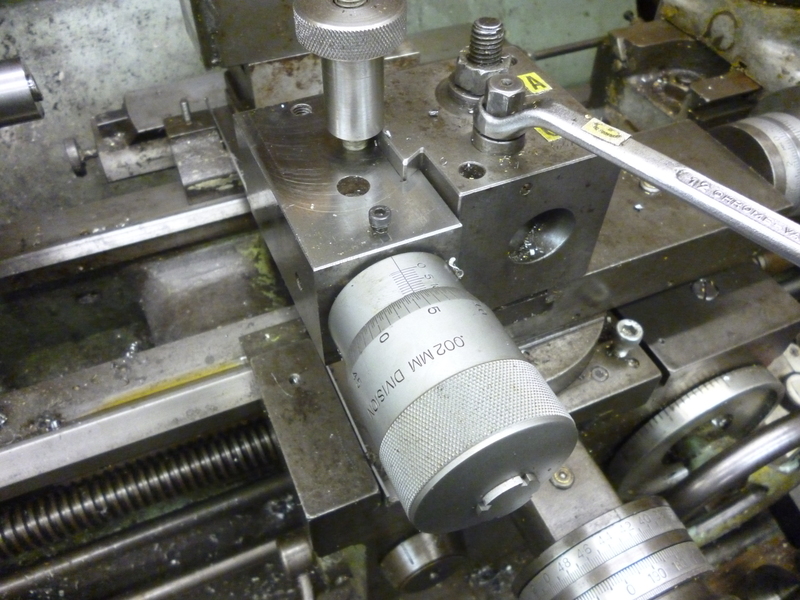 Notice that to move the cutter across the bed of the lathe the top slide is moved. 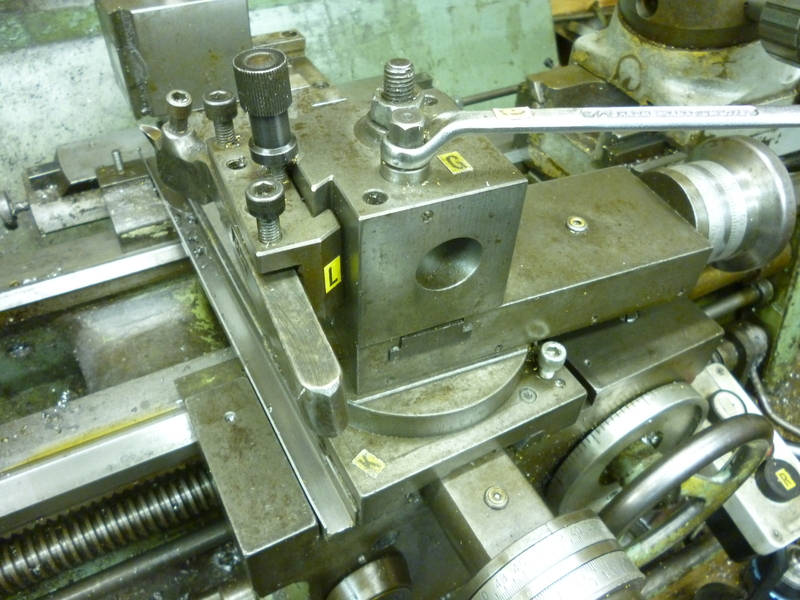 In this case to move the cutter across the bed of the lathe the cross slide is moved. The third method is like the second but instead of a large micrometer head a differential micrometer had is used. One division on this represents a movement of 0.001mm. In general the same techniques can be used to shorten the length of a workpiece. What is happening is that the same techniques are used but the moment of the cutter is now along the length of the lathe rather than across it. The same technique can be used to reduce the length of a workpiece. In general, to do this, the toolpost is rotated through 90º-6º. This can lead to the cutting edge being in the wrong place.